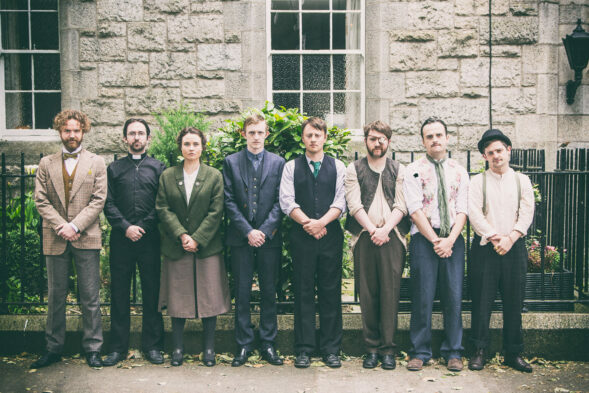 A rip roaring, men on a mission comedy about the assembly, training and deployment of Michael Collins infamous hit squad. After the Rising, Michael Collins put together a list of the hardiest shcans in all 32 counties to form an elite military unit to embark on a campaign of subterfuge, misinformation, political assassinations, espionage and general divilment. So begins the tale of The Hellfire Squad. Written by Peter McGann and John Morton is a fiercely comical, action packed story of mismatched assassins with different agendas and the same targets. The legend of Collins’ Squad has been printed. 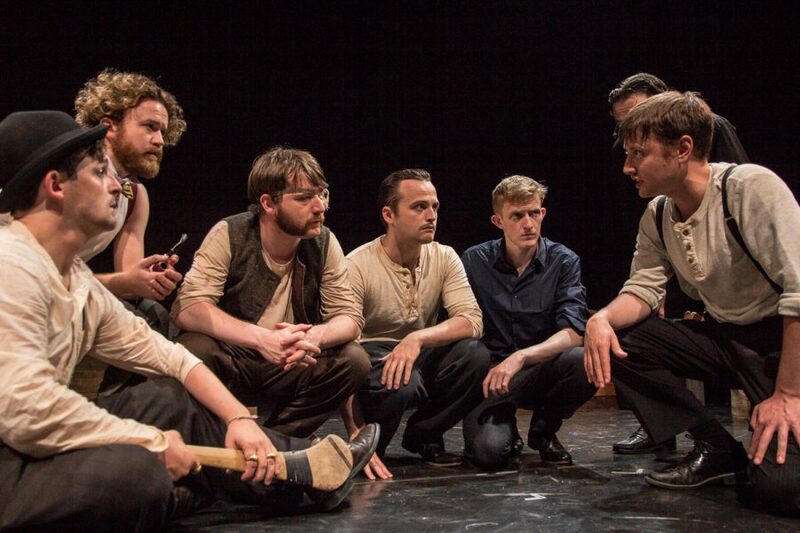 Now the seven-man squad and their no-nonsense handler, ‘The Bould’ Kathleen Sweeney are telling their tale, one as powerful, tragic and frightening as the history it sprung from. 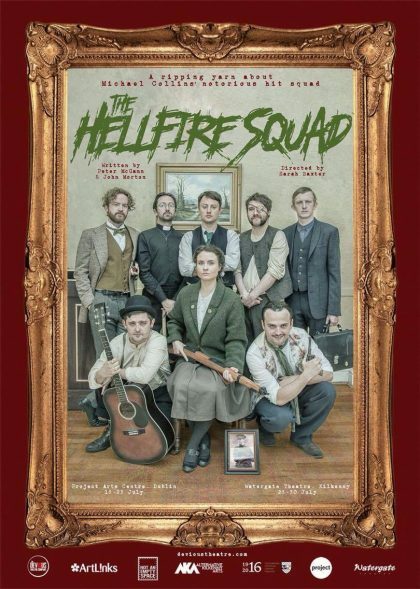 The Hellfire Squad was performed at Project Arts Centre, Dublin from 18th to 23rd July 2016 and The Watergate Theatre, Kilkenny from July 28-30th as part of our Devious 10 programme and Alternative Kilkenny Arts 2016.